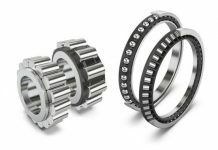 NTN-SNR is launching a new expanded range of NTN needle roller bearings. They are made in Japan and cover 95 % of industry requirements in Europe. 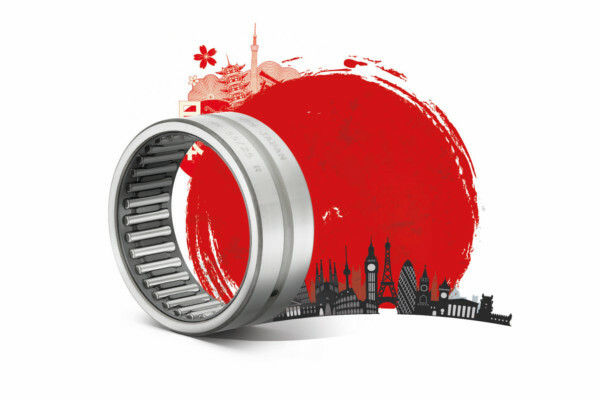 This range, which meets high demand from distributors, draws on the quality of NTN, market leader in Japan and number 2 worldwide in needle roller bearings for industry. On the occasion of this launch, a new logistics process has been implemented to guarantee optimal product availability and ever-shorter delivery lead times for European customers. NTN-SNR is establishing itself more than ever as a premium and major player on all its industrial markets in Europe with the development of its NTN needle roller bearing range. 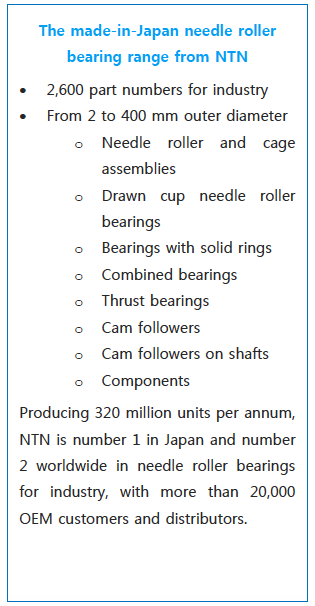 NTN Corporation is number 1 in Japan and number 2 worldwide for industrial needle roller bearings. 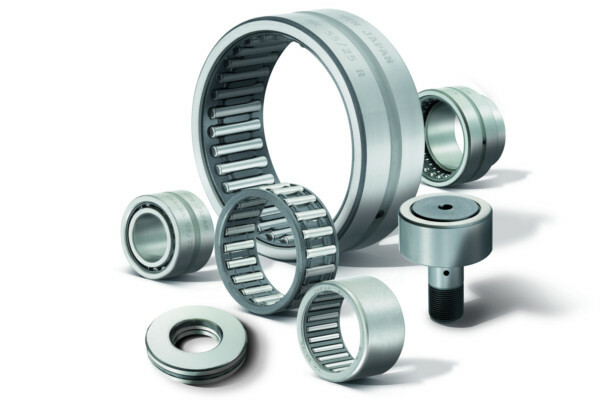 NTN offers the broadest range of needle roller bearings and rollers meeting 95 % of market demand. 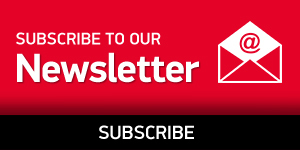 Its catalogue currently includes 2,600 part numbers, covering all industry markets in Europe, with bearings that combine robustness, precision and endurance. NTN-SNR thus stands out as the main supplier of distributors serving users. NTN has not reached this position by chance. All its needle roller bearings are made in Japan to stringent quality standards and undergo particularly harsh manufacturing process controls. 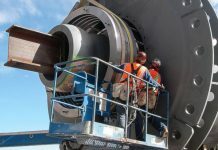 NTN thereby ensures consistent quality of its bearings from one series to the next, and guarantees the reliability of its products and their optimal service life. NTN-SNR has revamped its supply chain with Japan in order to offer European customers the best service rate. 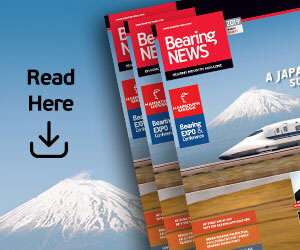 To support its partners, NTN-SNR has significantly built up its stock of needle bearings in anticipation of increasing sales in the years to come. With the NTN-SNR European logistics centre in France, orders can be shipped from stock to anywhere in Europe within 48 hours. To meet peaks in demand, a new supply chain by airfreight has also been put into place from the mother company’s stock in Japan. To support customers, a cross-reference table with competitors’ products is available for consultation on NTN-SNR’s e-shop. 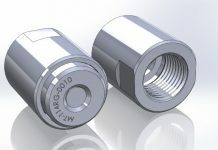 The technical data sheets for every product are also available online. Customers can thus easily place their orders in a few clicks (ad hoc product, price and delivery time). Local technical support can take over to handle any enquiries, provide advice, make technical recommendations or even carry out custom studies. Training on needle roller bearings, on assembling and lubricating them is possible in the field by the Expert&Tools team. 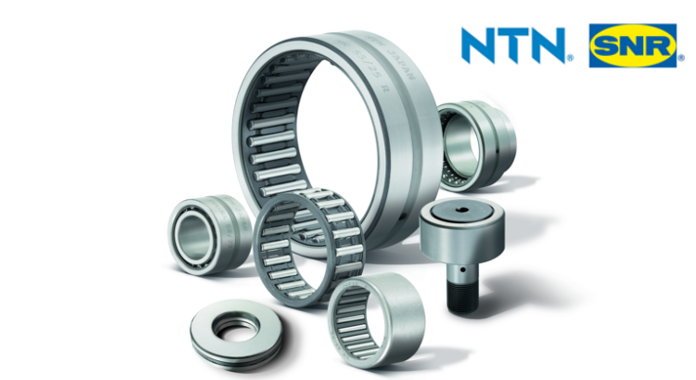 With its new available, extensive and competitive range of NTN needle roller bearings, NTN-SNR continues its conquest of European industrial markets. NTN-SNR ROULEMENTS, headquartered in Annecy (Haute-Savoie, France), belongs to Japanese Group NTN Corporation, a global leader in bearings. NTN-SNR manages and develops all NTN’s activities for the EMEA region and Brazil. NTN-SNR, a major force as a designer, developer and manufacturer of bearings and sub-assemblies for the automotive sector, industry and aeronautics, offers a comprehensive range by also developing maintenance services and solutions. NTN-SNR employs 4,225 people at nine production sites, including six in France, as well as 18 sales offices.